Aboy's Fresh Lumpia offers a healthy, reasonably priced, and home-made tasting fresh spring roll that is sure to delight the taste buds of young and old alike. It is a spin-off from the more expensive Chinese spring rolls available in Chinese restaurants and delis, turning the concept into a food cart business, thus making it more affordable and accessible to a greater number of Filipino consumers. Unlike the regular Chinese fresh spring roll however, fresh lumpia at Aboy's Fresh lumpia comes with a variation of an egg wrapper roll, freshly prepared and cooked on site. So not only does one get to eat an all veggie, delicious treat - he also gets to watch his lumpia cooked and rolled out right in front of him! Aboy’s Fresh Lumpia was established in July 2010 and was born out of an entrepreneur’s desire to bring to the market, an authentic, all-vegetable fresh spring roll similar to the popular chinese spring roll, the latter being an all-time favorite of his then 11-year old son, Aboy. The concept was to offer a healthy, reasonably priced, yet just as- delicious- substitute to the more expensive chinese spring rolls available in chinese restaurants and delis, and turn the concept into a food cart business, making it more accessible and more affordable to a greater number of Filipino consumers. At the same time, the need to offer something “Filipino” and uniquely different from a chinese spring roll persisted. Hence, the idea of an all-vegetable “chinese lumpia” with the option of an egg wrapper roll, freshly cooked on site, came to life. 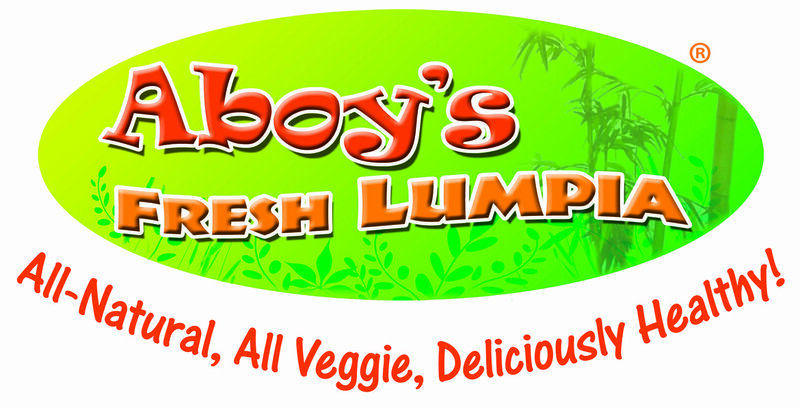 Thus was the name “Aboy’s Fresh Lumpia” coined, and the first outlet was launched at Rustan’s Supermarket Shangrila Plaza Mall in October of 2010. Since then, 38 more branches have been established, making a total of 39 company-owned outlets within a little over 9 years of the company’s operation. Aboy’s Fresh Lumpia is no doubt gaining a wider acceptance among the Filipino public, with many of its customers in the middle-aged to senior bracket. It also continues to maintain its pledge and commitment of providing an all-veggie, all-natural, healthy, delicious, and very affordable fresh lumpia to its Filipino consumers.